Which model parameters can be identified proceeding from the data given, and which not? How do measurement errors in experimental data influence the parameter values? What do we know about the steady state? Are fundamental physical or other laws satisfied, for example the mass balance equation? 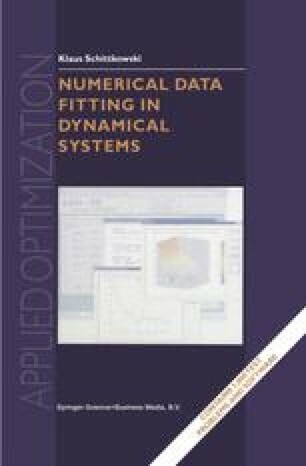 How stable are the numerical algorithms, and are the least squares algorithms capable of finding a solution as accurately as required? How accurate do we have be to discretize and solve the dynamical system?